Philips Series C M2601A Telemetry Patient Transmitter with Sensors . New Life Scientific, Inc. 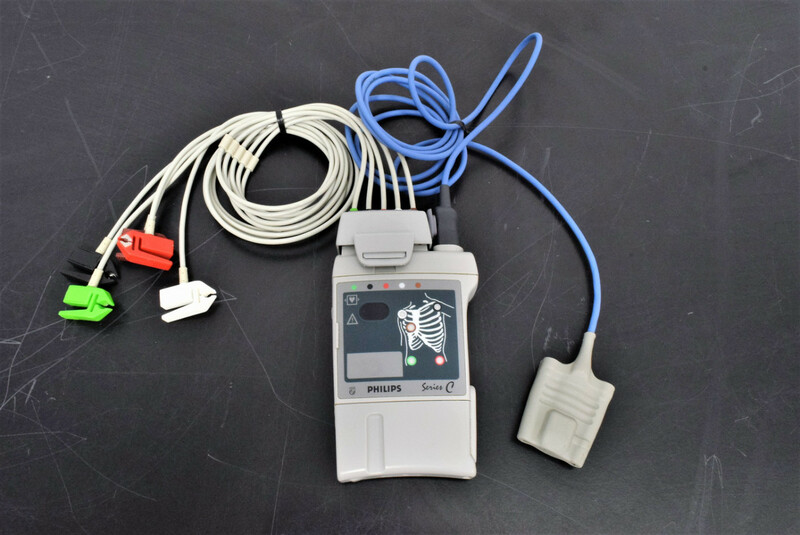 The Philips Series C M2601A Telemetry system transmitter sends continuous ECG and SpO2 measurements to the IntelliVue Information Center, where the measurements are captured, analyzed, displayed, and stored.